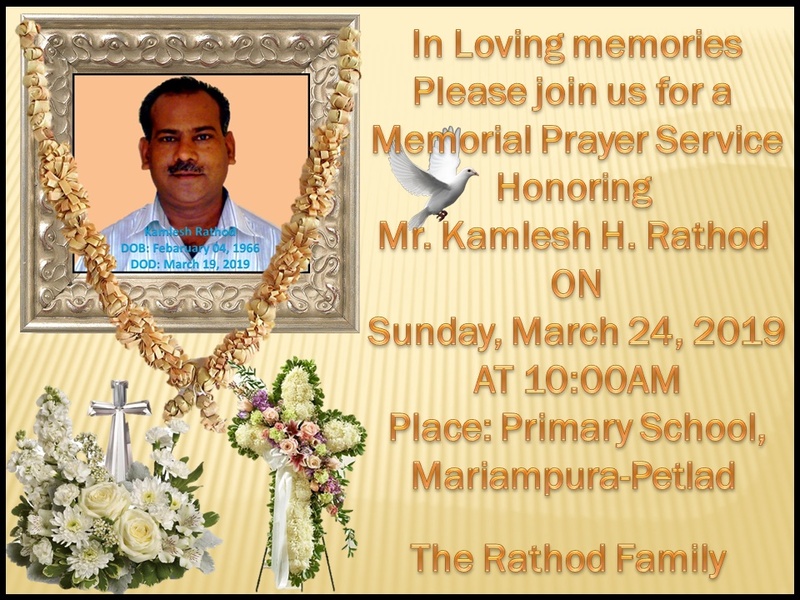 Please come and join us for a Memorial Prayer Service honoring Mr. Kamlesh H. Rathod. 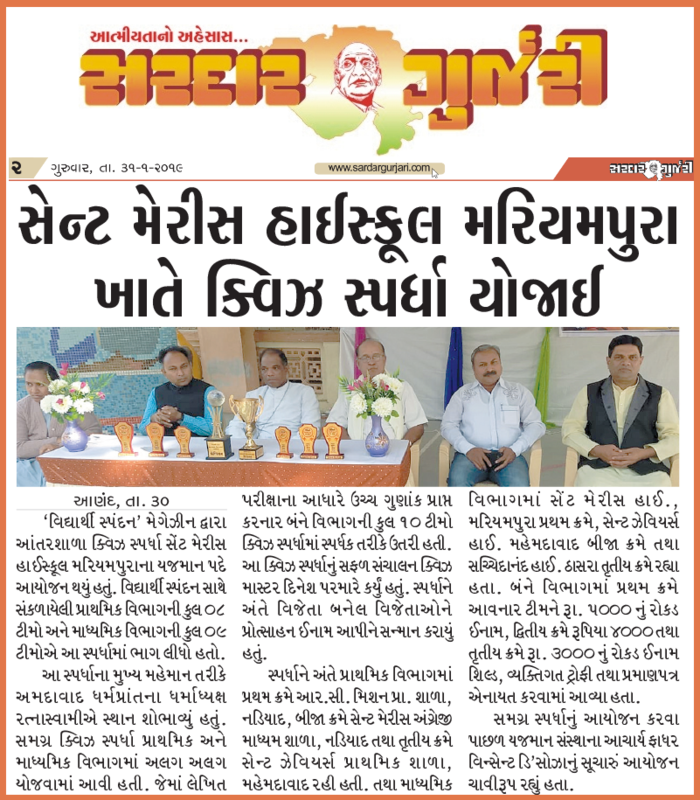 St. Mary’s High School, Mariampura hosted an Interstate Quiz Competition organized by “Vidhyarthi Spandan” magazine. The Humanities Produce Creative Problem Solvers. The Humanities Produce Creative Problem Solvers. 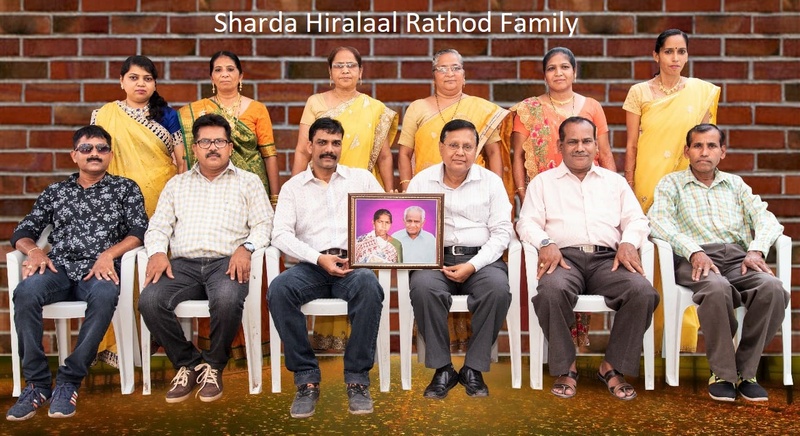 Please find below one example of humanity by the Principal, staff and students of St. Mary’s High School, Mariampura. I am an ex student of this school during 1969-1972 and very proud of my school. School and Curriculum or Learning and Humanity? Humanity is our point of living. It is the deepness and richness in our lives that can only be felt, not possessed. Most of us have lost our ability to be honest with ourselves about the loss of our humanity yet we try to fill that void with possessions, power, therapy and gluttony. Humanity is comprised of our sacredness and our freedom. Modern society has disconnected us from both of these. Spirituality is the reality of our existence that we are beautiful beings in a complex web of existence whose beings, while simultaneously are both individual and collective, are together greater than the sum of their parts. Undeniably the major discourse of schools is not about children or learning but about curriculum and imposing it on to students. The very measure of success in school is: did the student learn the curriculum? Of course when you teach the curriculum you either “win or lose”; however, when you nourish the child and their connection to the community you create a world rooted in respect and love. Perhaps in this sort of world we may finally recognize social and environmental justice. Please click here to read the very interesting article in full. 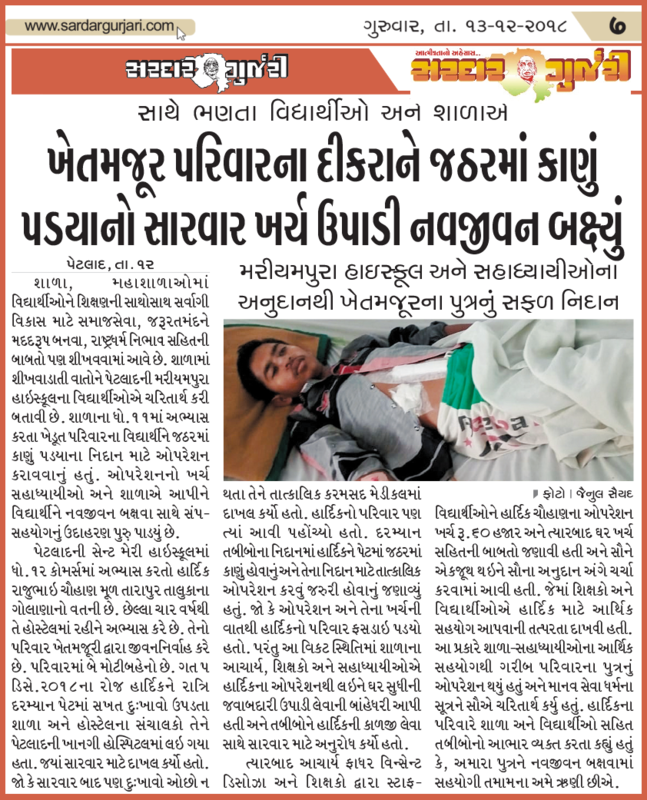 Battling for the Soul of Education. Click here to read. 63rd annual procession of Our Lady of Health was held after 9 days of Novena. Video from Facebook page “Our Lady of Health Church, Mariampura. 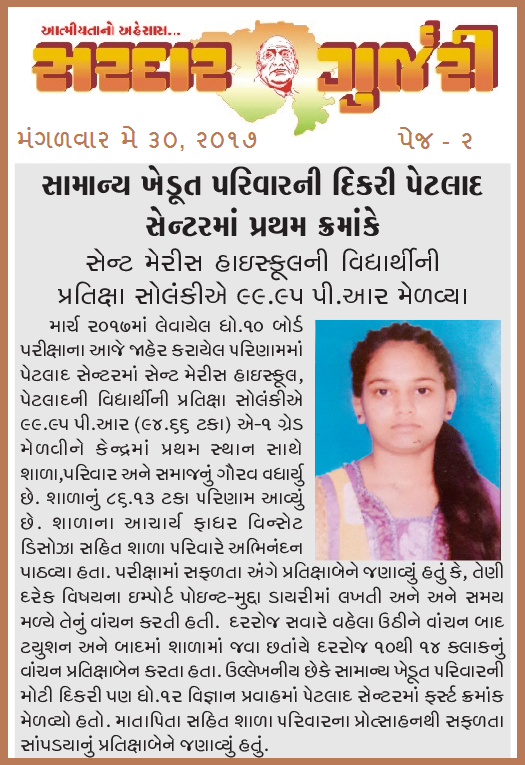 Congratulations to Pratiksha Parmar of St. Mary’s High School who ranked number one in Petlad Center.